That tells you a lot but it doesn’t explain the cause of tinnitus. Tinnitus is a bit of a medical mystery, in part, because there may be more than one cause. For many, it is a symptom of profound hearing loss. The brain gets used to hearing sounds all the time because it’s always around you. It’s there when you go for a walk or read a book. There is some kind of noise even as you sit in a quiet room. Noise is always there for your ears pick up on even if it is slight. Faint sound creates small waves that the brain can interpret. It then decides whether you actually should hear the noise or not. When someone develops hearing loss things changes gradually. Over time, the sound stops coming to the brain the way it used to, so it tries to figure out why. 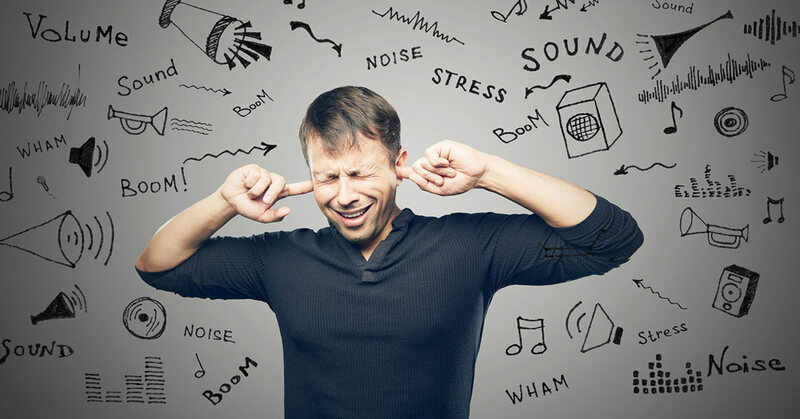 Researchers believe that it tries to fix the problem by creating the ringing, buzzing or wind sound associated with tinnitus. It would rather “hear” a phantom noise then live in silence. Why Does Tinnitus Impact How You See the World? That loss of control and frustration may bleed through to everything else you do. What Treatment is Available for Tinnitus? First, make an appointment with your doctor to talk about the medical options. If the cause is hearing loss, using a hearing aid for that ear may be the only thing you need. Hearing aids amplify sound, so your brain starts getting the daily noise it expects. White noise machines mimic environmental sounds when you take your hearing aids out like at night. You can also try to create your own kind of noise with a fan or by running a dehumidifier. Your view of the world defines your awareness of what’s going on around you. That improves when you eliminate the distracting noise of tinnitus.